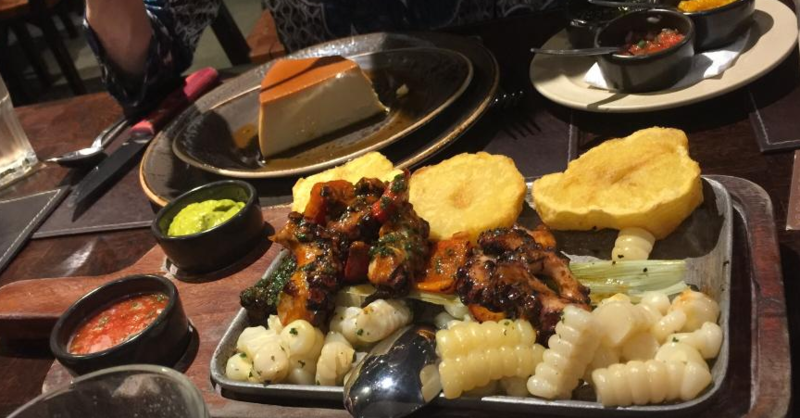 Lima is considered to be the gastronomic capital of the world, Peruvian cuisine is voted as being the best culinary experience several years running and there's every reason for the accolades ~ the food here is just divine! There are countless choices for visitors to Lima of where to wine and dine, there are so many fantastic choices it's impossible to try them all - especially when guests stay over for just a few days. Our guests can enjoy traditional Peruvian cuisine and drinks up our roof top cafeteria 'La Terraza de Casa Cielo' ~ freshly prepared dishes such as lomo saltado, ceviche, quinoa salads, pisco sour (the best in Lima!) 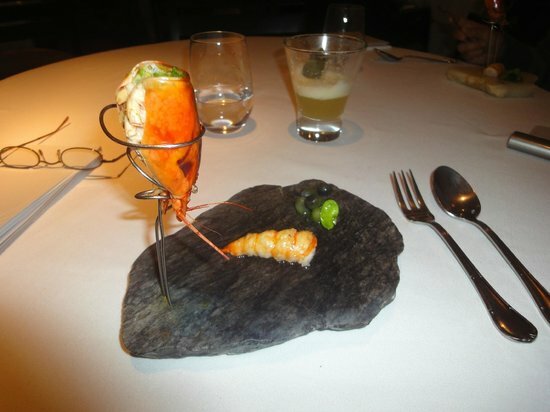 and much more ~ and we also freely recommend what we think to be some of the best restaurants in Lima. Our aim is to always put our guest's experience first and foremost and to help them get as much from their, on average, 3 or 4 days in Lima as possible. And so with this in mind we've produce this list of Hotel Casa Cielo's top recommended restaurants in Lima. Disfrutar! 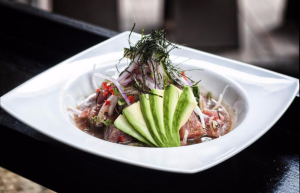 Owned and run by the popular Peruvian chef Gaston Acurio, this top-class restaurant is inspired in the Peruvian popular cevicherias, or restaurants specialised in ceviche along all Peru. La Mar does not take reservations, so you should arrive early for lunch. Stylish decor, moderate prices, it take the popular ceviche to a new level. Edo's is one of our personal favourites. It is a Japanese-Peruvian fusion cuisine known as Nikkei and Edo is probably one of the best fusion restaurants and home to some of the most technically skilled chefs anywhere in Peru. If you like sushi, you HAVE to try Edo.. they have a sushi bar just 2 block from our Hotel on Calle Berlin. Be sure to order their maki's and a few maracuya sours. A delight! This is restaurant is what you would call foodies heaven - if fancy & creative Peruvian dishes with a twist designed by two of the worlds top chefs appeals to you then this is the place to go. The food is out of this world, with a price to match, but if you're looking for a special treat Astrid & Gaston will deliver. Needless to say this place gets very busy, but our arriving guests can email our Front Desk ahead of their arrival and request a reservation on their behalf. Panchita is a fancy place inspired in the typical Peruvian picanterias and anticucherias, that is, traditional, popular, working-class intended creole food spots. Despite being a little pricey for locals, its superb cuisine and flavours make it an unmissable spot for both local and foreigners, so keep in mind that you will need to book a table in advance if you don't want to wait at the bar. Not a restaurant but we have to say La Lucha's sandwiches are just superb. They base their flavours on criolla comida, a delicious mixture of traditionally cooked meats, sauces and the all important spicy aji and salsa de criolla. 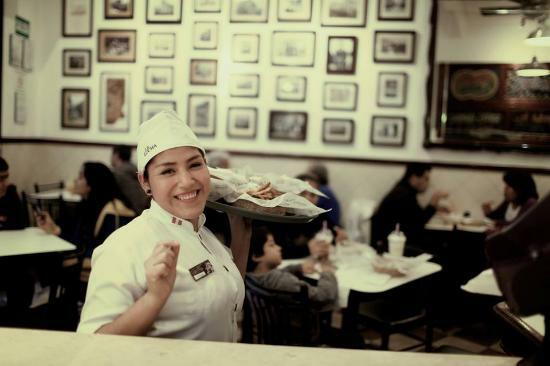 Their main cafe is just around the corner from Hotel Casa Cielo, facing Parque Kennedy. A great place and don't forget to order their 'papas fritas'!